I've kinda given up on Summer. It's already chilly out, the town pool water is plain cold, and all the fall/autumn stuff is out in stores. So instead of complaining about how fast the summer went by (and believe me I've already done plenty of that), I made cupcakes. 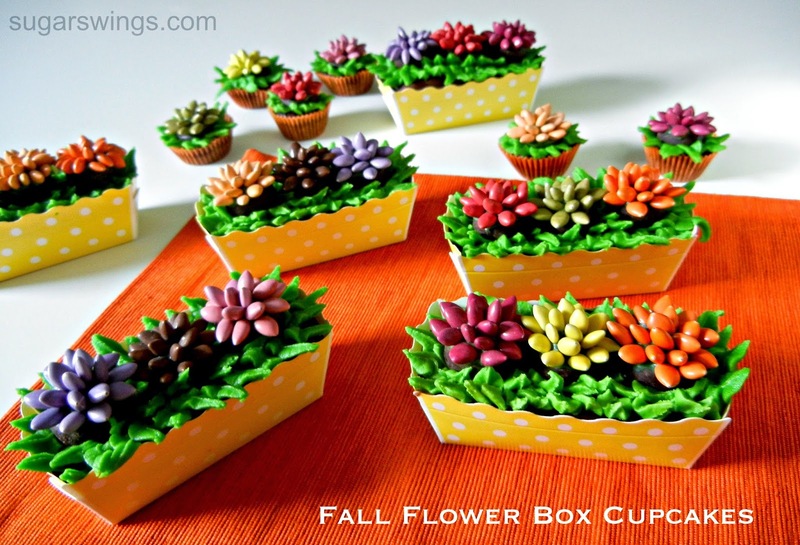 Fall flower box cupcakes! 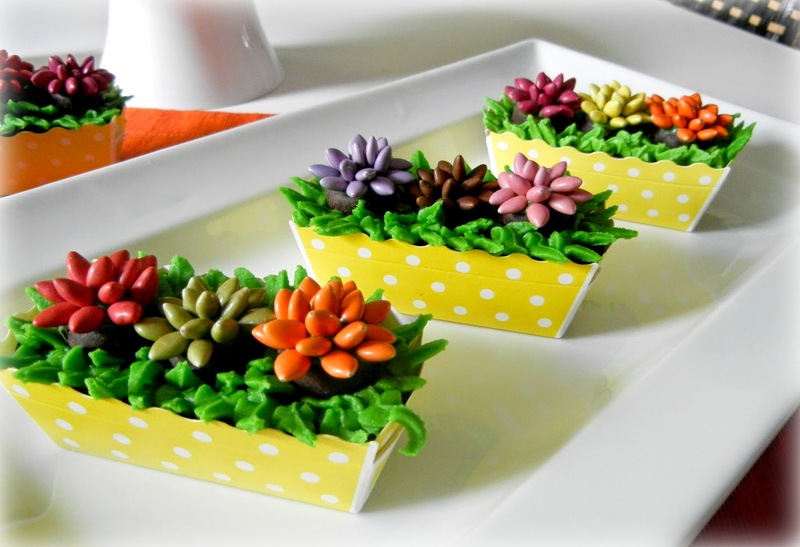 I found these neat mini loaf pan liners at a local Homegoods a few weeks ago and thought they'd make neat little flower boxes. AND I also found York Peppermint Patty Minis - I know mini peppermint patties! Pretty much impossible not to eat a handful at a time. The flowers (they are supposed to be Fall Mums!) 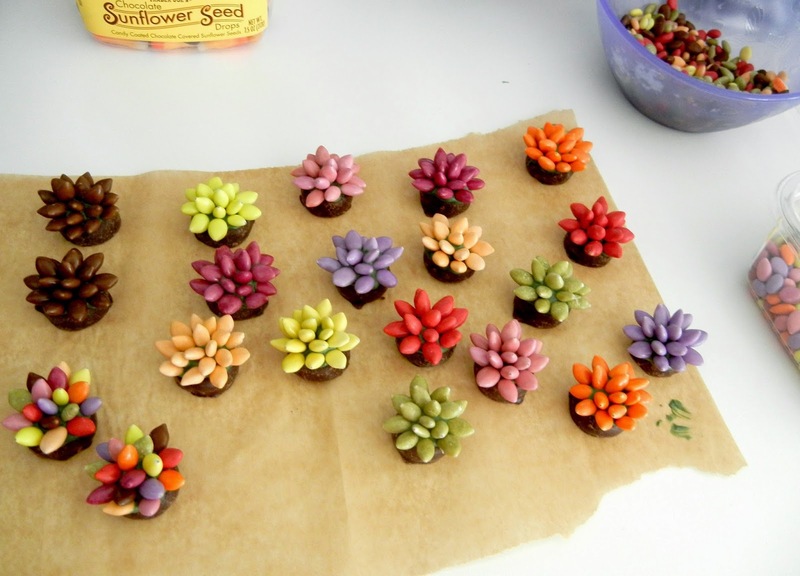 are made with chocolate covered sunflower seeds. 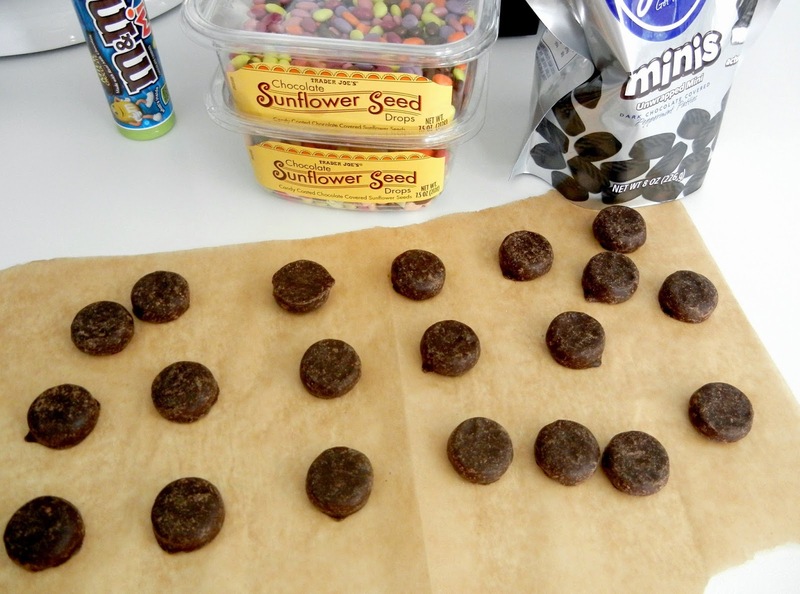 Attach them to the mini peppermint patty with some green candy melt. The colors of the sunflower seeds definitely remind me of fall colors. 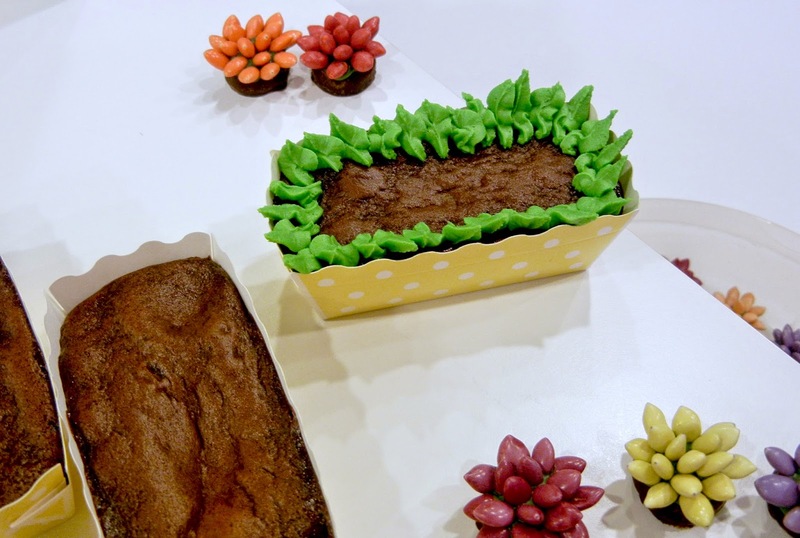 Bake your favorite cake in the mini loaf pan (I used chocolate of course, you know dirt like) then pipe some buttercream leaves and add your candy flowers on top. 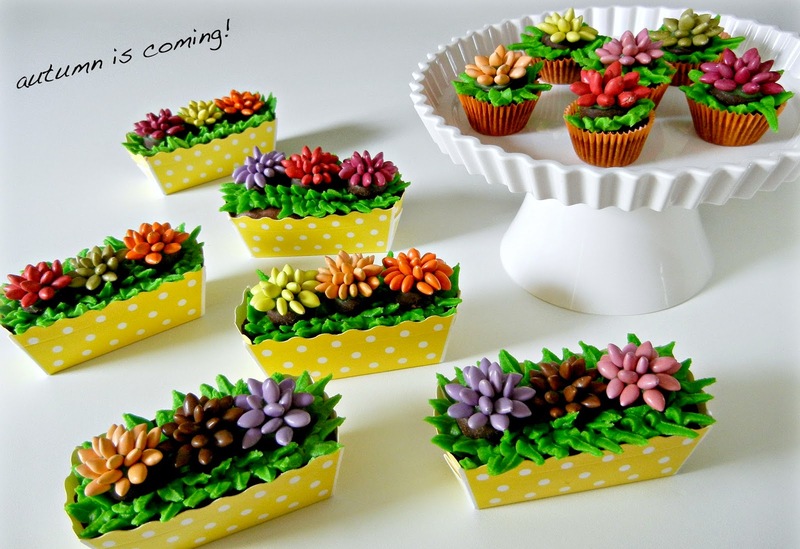 And if you can't find these little loaf pans, you can use mini cupcake liners. 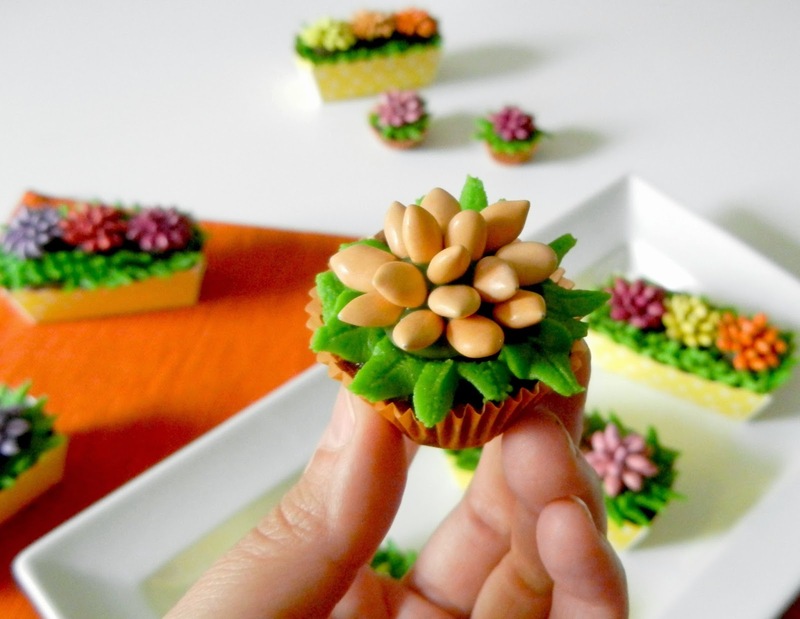 Just pipe some buttercream leaves and add a flower on top for simple mini cupcakes. 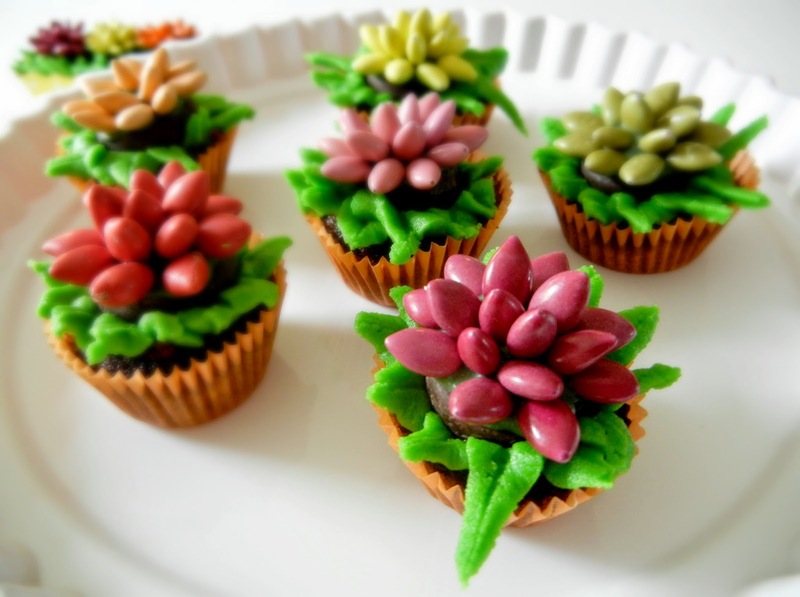 Heading up to Canada soon for a last summer vacay and a little detoxing from electronics but I hope you like the cupcakes. Do they look like mums to you?? Leave a comment and let me know! Thanks Jill, I just saw the feature! !